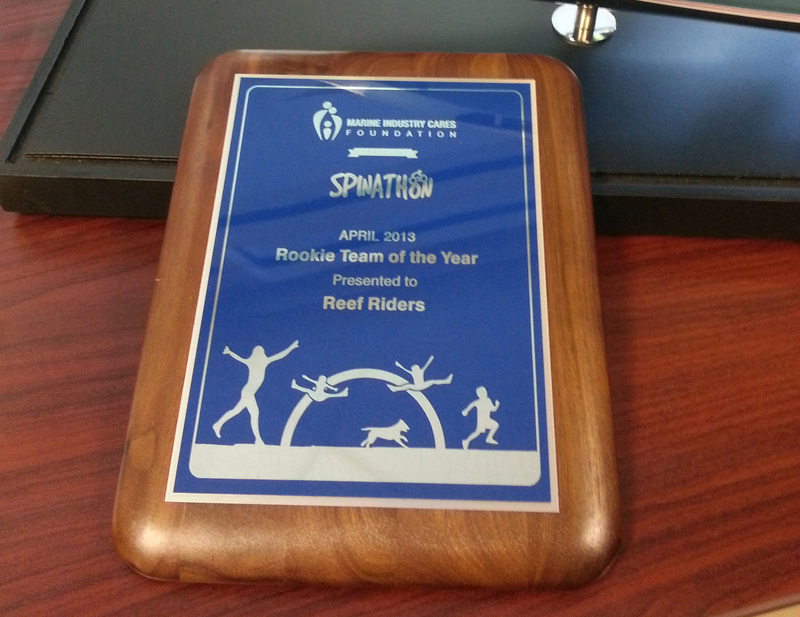 Outer Reef Yachts was presented with a Rookie Team of the Year Award for participating in the 2013 Spin-A-Thon!! Total money raised for this event between all the teams and donations is $154,702.68, to benefit Kids in Distress (KID) and Children’s Diagnostic & Treatment Center (CDTC). Thank you for your generous donations and support for The Reef Riders! !